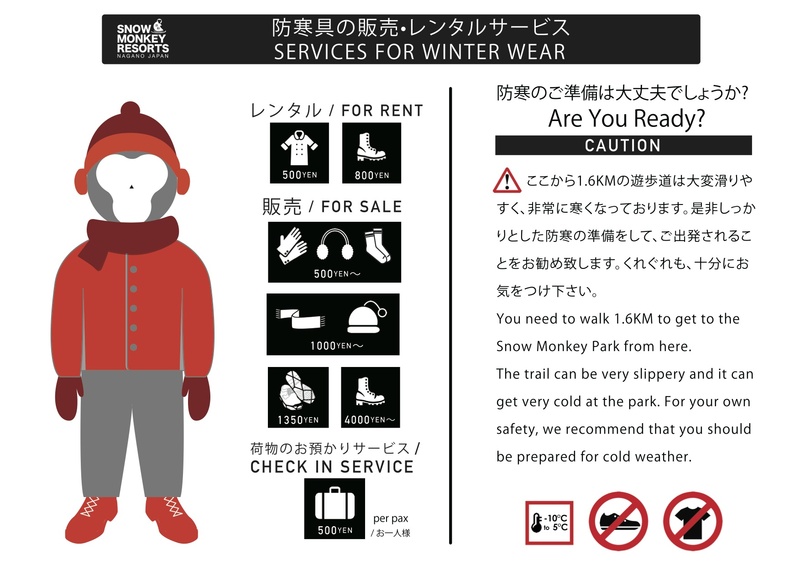 Since it is getting colder every day, SNOW MONKEY RESORTS INFO & GIFT SHOP located next to the entrance of Snow Monkey Park is providing rental service for winter wear. To be able to fully enjoy the wonderful Snow Monkey without having to worry about the cold and snow. We highly recommend you to make use of any winter wear that is needed.